The rate of change in the automotive industry is always getting faster, and every year we see new technologies and trends emerging at the OEM level, which then trickle down to affect individual dealerships. A number of factors, including things like Brexit, and the rise of the electric vehicle, are slowly chipping away at the volume of petrol and diesel cars sold each year. This means that it is up to dealers to supplement the losses of the sales floor by maximising revenue brought in through their aftersales departments. Research by AutoVHC tells us that every UK franchised dealership could potentially bring in over £87,600 of aftersales business over a 12-month period, equivalent to over £429 million across the UK. However, there are very few dealerships where this potential is being realised, and so the challenge is for your dealership to find innovative ways to increase uptake of aftersales services and especially sales of urgently needed work. This blog suggests five ways that your dealership can use innovation to make aftersales services more attractive to customers. 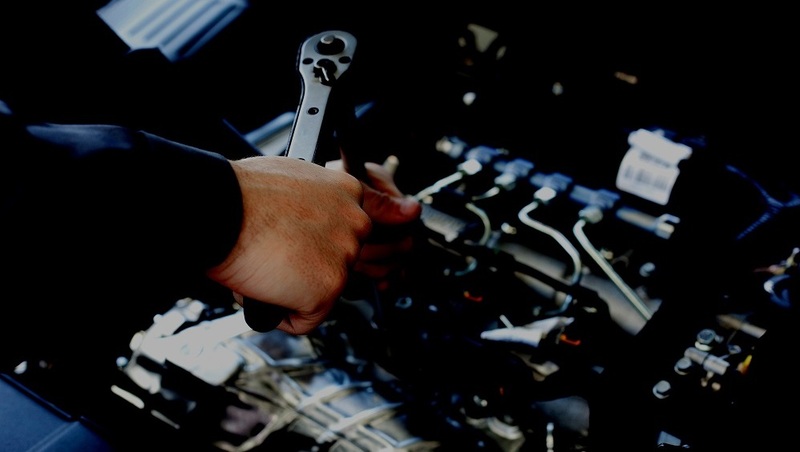 A survey conducted by Accenture found that 45% of respondents prefer to not have to physically visit a dealership to purchase aftersales related servicing and maintenance. While customers will have to attend the dealership at some point in order to drop off or pick up their vehicle, dealerships could enable customers to purchase aftersales services online through their smartphone or tablet. In today’s fast paced society dealerships who make their aftersales services flexible and convenient will be rewarded by their customers. The Click and Collect service is a popular choice for consumers shopping in the retail sector, could the same model apply in the automotive sector? Options that dealerships might want to look at are introducing car drop off points at locations such as shopping centres or airports, with a flexible range of pick up times. Fewer people are working a traditional 9-5, so smart dealerships who incorporate flexibility and convenience into their services will build up a base of satisfied customers who will keep coming back to their dealership for aftersales services. A key factor for motorists choosing a dealership is inevitably cost. A report by the Society of Motor Manufacturers and Traders warned that annual car service and repair costs could increase by 10% to £777 per year – if Britain fails to secure a post-Brexit trade deal with the EU. Allowing customers to spread costs over a manageable time frame removes the immediate barrier to purchase, which is cost. Financing plans enable dealerships to sell more red and amber work following vehicle health checks. Combining aftersales packages with car sales. The demand for alternative cars is at an all-time high, with production of diesel cars being phased out completely by some manufacturers. Purchases of electric and hybrid vehicles have surged to 34% in February 2019, according to SMMT figures. With increasing numbers of motorists buying electric and hybrid vehicles, it makes sense for dealerships to expand their service offering as well. Dealerships can engage drivers of electric vehicles in aftersales services, for example by offering a personalised service to support them in the transition, and by ensuring that they offer a full complement of aftersales services aimed at hybrid and electric vehicles. Integrating tools such as an Electronic Vehicle Healthcheck into servicing provides a two-way engagement between your dealership and customers. For example, autoVHC ensures motorists receive up to date information on car examinations, showing them the repair work that needs to be carried out and the reasons for this. The visibility of this information provides a sales opportunity and higher conversion rates on Red and Amber work. Dealerships don’t necessarily have to come up with new inventions to improve customer retention. Readapting a current service, like aftersales, to meet the needs of customers in today’s society has proven to have positive results on the bottom lines of dealerships. Dealerships who embrace consumer sentiments around convenience, affordability and digitalisation will be the ones who attract and retain customers in this competitive industry.